Dibya Kishor Singh was born on 20 October 1934, a descendant of the Royal family of Hindol, formerly a princely state of Odisha state of India. He had obtained BA Geography Hons from Ravenshaw College in 1957, Diploma in Statistics in 1958 and MA Geography from BHU in 1959, Ph. D. in urban geography from Gauhati University in 1972. His specializations were urban geography, regional planning, cartography, and quantitative methods. He was an excellent teacher of both in physical and human geography. 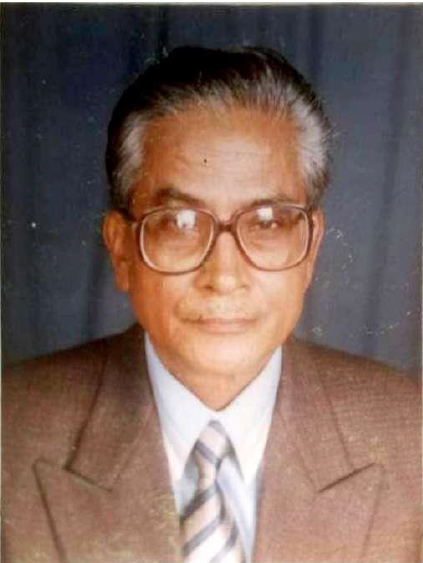 He served as Lecturer, Assistant Professor, Reader and Professor in Geography in West Bengal, Saugor, Gauhati, and Utkal Universities sequentially from 1960-1996. He was awarded Fulbright Scholarship in 1966-67 (Indiana University, USA), Commonwealth Foundation - Royal Geographical Society Bursary Award in 1980 (Bristol University, England), Visiting Fellow in the Human Settlement Division of Asian Institute of Technology, Bangkok, Thailand in 1992 and in the SPRING CENTRUM of Dortmund University, Germany in 1993. Supervised 20 MPhil and 17 PhD Theses besides one D Sc Scholar in Geography. Published about 100 research papers and articles in reputed Indian journals and edited books and research monographs. Served as Editor of the Eastern Geographer and many other research publications. Contributed as resource persons in different workshops and refresher courses for college teachers in India; served as Executive Member of many Professional and Cultural Organizations. Life Member of more than 20 Geographical and Professional Societies including Fellow of Royal Geographical Society, London; Member of American Association of Geographers; and as a Life Member of National Association of Geographers, India of which he also served as Vice-President. His contribution for shaping and spear heading geography education and research in Odisha and bringing qualitative changes in the PG Geography Curriculum of the Utkal University and later in India through UGC are note worthy. Served as member of National Committees in Geography Panel of INSA for two terms (1991-97). Was a member of the Geography Panel of UGC (1997-2002). Advisory Editorial Board Member of the “Encyclopedia of World Geography”, Andromeda Publishers, Oxfordshire, U.K., 1993; Author of Geography Text Books in English, Odiaa and Assamese languages. Author of the UGC Project book “Shelter Environment and Settlement. Planning of Rural Orissa”. Made two seminal contributions on “Assam Valley” and “Meghalaya” in the famous book “Geography of India” edited by Professor R. L. Singh. Also contributed research articles to a number of edited books including the book on Regional Planning edited by R. P. Mishra. As a member of the Indian Section of the International Theosophical Society, was the Secretary of the Utkal Theosophical Federation for two terms (1999-2005). Instrumental in bringing out publication of spiritual books in Odiaa for the Federation. Was President of Saraswati Shishoo-Vidya Mandir, Unit-III, Bhubaneshwar from 1998-2005. Earned recognition for writing short stories, poems, travel and spiritual essays in Odiaa while serving as the president of “Chalapath All-Orissa Writers` Conference”, “Sweta Sanketa,” “Biplaba” and as Adviser of “Smruti-Lipi” and “Asha-Shrotaswimi” in Odiaa literature. The Odiaa short story books “Pooja-Phul” was selected by Orissa Sahitya Academy for the Raja Ram Mohan Library. The short story books “Pallavi” of Mamata Banerjee in Bengali has been translated into Odiaa and “Duranira Rang” in Assamese of J. K. Mahantsa and Junu Mahanta has been translated into Odiaa (Dura Durantara Abha) by Professor D. K. Singh. More than a hundred poems of Rabindra Nath Tagore in Bengali have also been translated by him into Odiaa and published as a book of poems entitled “Nishabda Prahari”. This book has been selected by the Orissa Sahitya Academy for Raja Ram Mohan Library. In 2007, respectively in July and November, two books were released: “Akinchit Anubhav” and “Purushottam Kshetra O Shree Jagannath” (Short Stories). In 2008, he translated book from Assamese written by Assamese lady authors to Odiya “Abagahan” (short Stories). Served as president of Chinmaya Mission, Bhubaneshwar, Secretary of Spiritual Regeneration Movement Capital Project, Orissa of Maharisi Mohesh Yogi and worker for foundation of the Maharishi College of Natural Law, Bhubaneshwar. Also as Executive member worked for the development of Buddha Vihar, Orissa, Bhubaneshwar. One of the founders of Janata College, Satmile, Hindol. Worked as Secretary and later as Vice-President of the Orissa Section of the All-India Madan Mohan Malaviya Mission. Member of the Rotary Club, Bhubaneswar Metro. A multidimensional personality always with great zeal and enthusiasm had extended his arms for a variety of activities and institutions with humanitarian touch, recognized among the peers, and respected by students, staff, and common people. He was a man beyond the boundaries of all regions, associated with a variety of organizations and immensely contributed for community and social development. He had achieved excellence in the areas, where he worked and attempted to do. He will remain as a very special and rarest person in the minds of his fellow geographers, peer groups, and friends in Odisha, India and abroad.